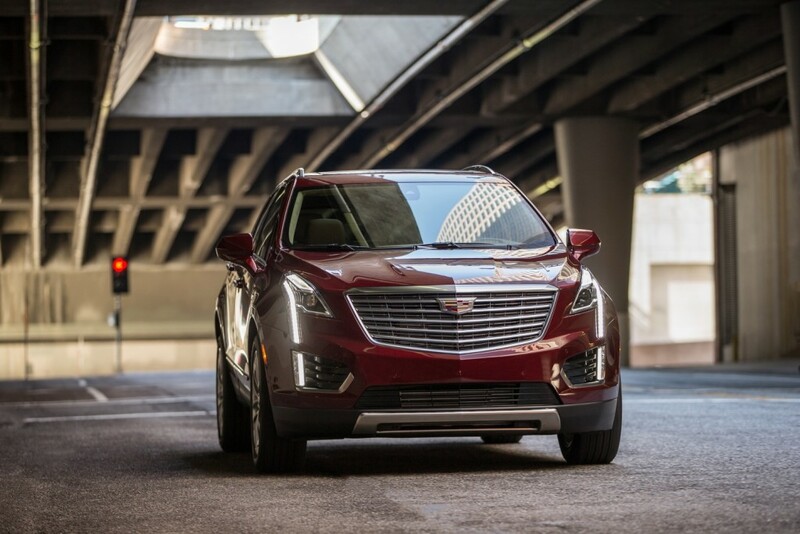 Residual forecast company, ALG, has assigned 36-month U.S. resale values to the 2017 Cadillac XT5 midsize luxury crossover and 2016 Cadillac CT6 full-size sport-luxury sedan. ALG assigned the 2017 XT5 a 36-month residual of 54 percent, meaning that the vehicle will be worth 54 percent of its MSRP after a 36-month period (at a predetermined mileage/use). By contrast, the 2016 Lexus RX has a residual of 57 percent. The RX, which for years has led the midsize luxury CUV sales race to the second-place SRX is the primary rival to the XT5, which replaces the SRX in April. One nuance is that XT5 is a 2017 model year vehicle, while the RX is a 2016. This helps the Cadillac’s residual value, since the Lexus is not yet available as a 2017. If it were, ALG says that the difference between the residuals of the two crossover would be even higher, in favor of the Lexus. 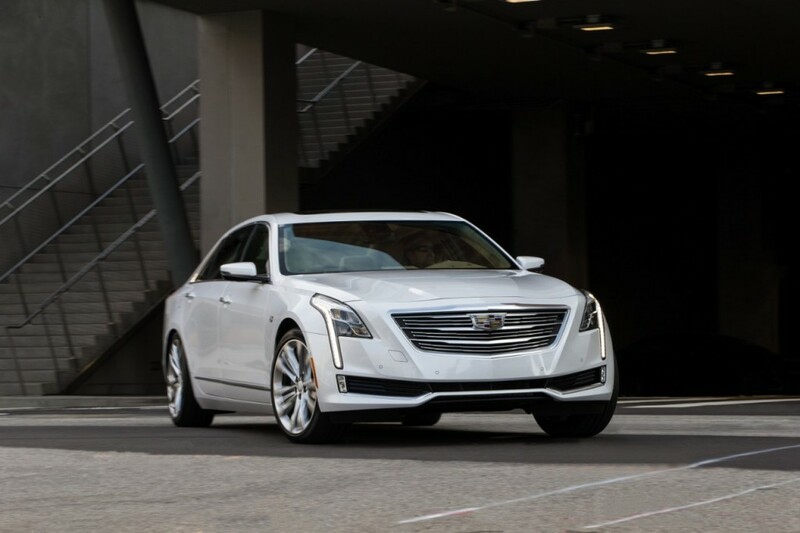 As for the CT6, ALG assigned it a 36-month residual of 46 percent. For a very peculiar reason, ALG places the CT6 in the midsize luxury segment with the likes of the BMW 5 Series, Audi A6, and Cadillac’s own CTS. Its reasoning for doing so is that the $54,490 starting price of the CT6 straddles the midsize and full-size luxury sedan segments, despite the vehicle clearly having the dimension of full-size luxury sedans like the BMW 7 Series and Audi A8. A residual value is the projected depreciation and assigned value of a vehicle after a predetermined time (months) and use (miles/kilometers). The metric is used to determine lease rates. A lessee pays the difference between the MSRP and the residual (plus the money factor, which acts is similar to an APR in vehicle financing), a higher residual value means that a vehicle will be worth more at the end of its lease cycle, resulting in a more competitive (cheaper) lease rate. By contrast, a lower residual means that the vehicle will be worth less at the end of its lease cycle. This would make it costlier for a consumer to lease a vehicle, since they would be paying for its higher depreciation. Since manufacturers would rather have competitive lease rates, some end up subsidizing the lease by paying into a deal to raise the residual to a point that makes a lease competitive with rivals. The practice is similar to an incentive, and decreases a manufacturers’ profitability. So, despite the residuals for the XT5 and CT6 being relatively respectable, there is no denying that they lag key rivals. And since Cadillac will want to make its lease rates competitive, it will subsidize the rates, thereby making it costlier (less profitable) for the brand to lease the vehicles. The development is vital for Cadillac since most luxury cars are leased rather than financed or purchased outright. And it also means that the XT5 and CT6 will depreciate faster and have lower resale values than key competitors. the CT6 is mid-sized car and it’s just a big ATS/CTS..sigh. There is nothing “midsize” about the proportions of the CT6… it’s a full-sizer through and through. JDN, has already spoke on this, he has already said cadillac is going too have self-control. And don’t forget the money pit any Cadillac becomes when it’s out of warranty! As opposed to other luxury brands like BMW and Mercedes Benz? Cadillac isn’t any more expensive to maintain over time than similar vehicles. Don’t forget that the CT8 will be an extended-length version of the already-full-size CT6. Wrong! If you had been paying attention, the CT8 will be totally different inside and out from CT6. Cadillac already stated there will be no extended wheelbase for CT6. Where exactly did you pull that number from? I highly doubt it will be 215 in length even though I would love to see that. I figure the CT8 will be in the 208 to 210 range in terms of length. Maybe about an inch or so wider and a 3 inch longer wheelbase then the CT6. That’s just my prediction. might as will call it CT6-L if its just a longer version CT6….there needs be difference in design stand point between the two….the CT6 just looks like a CTS and I don’t want the CT8 to look like a huge CTS…it doesn’t go with a real flagship and the CTS styling will be vary stale by the time the CT8 rolls out…the CT8 needs to be a design going forward…not backwards. I would take this report as nothing but a biased editorial . These vehicles haven’t even been on the road yet and they are already talking about their depreciation values ? The quality of the vehicles makes a huge difference in what a car is worth after 3 years . If they come out with alot of recalls , the price will drop . If all the components work like they were designed that helps retain some of the value . I have never leased a vehicle , I know alot of people do , but I don’t think a true luxury car should be leased . Let’s wait those 3 years and see how Cadillac will stack-up too their rivals . Until then let’s wait for their arrival and then listen to the editorials . It seems to me that the low residual value is an indication that the MSRP is too high. I said this would happen when Cadillac announced it new pricing strategy. They appear to have backed of on that strategy a bit. They lowered the price of the CTS and the CT6 and XT5 appear to be price more appropriately. It is possible that residuals will increase if the new models are successful. I have to think that the XT5 will be very successful against the Lexus RX 350, because I have never seen a more ugly car in my life. I have never seen a car with more character lines going in so many different directions…that car can bring on an epileptic fit !!!! Unfortunately not which is good for Lexus due to its ugliness. That car is averaging in volume in the low to mid $9K each month. I saw one broken down on the side of the Interstate being towed and lifted on a flatbed. And it was a 2016 Lexus RX. GM STAFF- you need to recheck your facts about the RX350 as i received a lease quote march 30, 2016 that shows a residual of 65% NOT the 57% quoted in your article (i can fax the quote sheet to you and my deal is not all that special)!!! please recheck your facts so that we have more faith in what you write. also, while the lexus RX and cadillac (SRX & XT5) have MSRP that are about the same for comparble cars (ALL the specs look really close), cadillac typically discounts their cars more so that the lease payments even with the lower residual are the same or lower than the lexus RX.